Place the chicken, water, star anise, ginger, garlic, wine, sugar and soy sauce in a large saucepan, ensuring the chicken is completely submerged. Place over medium heat, bring to the boil and cook for 15 minutes. Remove from the heat, cover with a lid and allow to stand for 1 hour. Remove the chicken from the broth and slice. 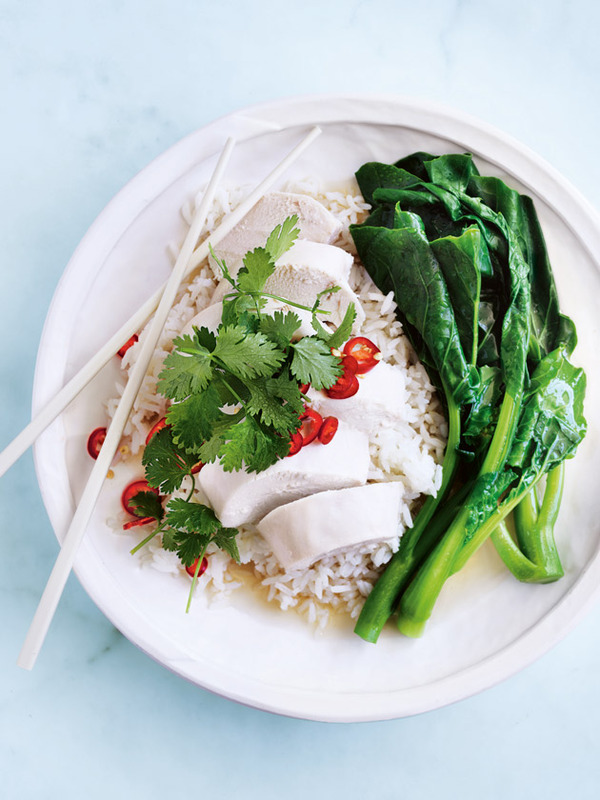 Divide the rice, gai lan and chicken between bowls. Top with chilli and coriander and spoon over the chicken broth to serve. Serves 6. + Gently poached with aromatics, this crowd-pleasing tender chicken is easy yet impressive, perfect for a fuss-free dinner.